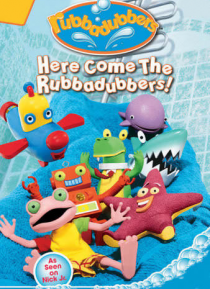 IHG® Rewards Club - Movies - Rubbadubbers: Here Come The Rubbadubbers! Rubbadubbers: Here Come The Rubbadubbers! TRAIN DRIVER TUBB: Whoo! Whoo! Tubb loves driving the model train! If only he could do everything by himself on a real train! Tubb stays on track until robbers try to steal his gold - and he discovers he can't do everything alone. SPLOSHY'S TAIL: Sploshy dreams of performing tricks like Winona the whale. If only she had a tail, Sploshy would be a circus star. But the imaginary Great Sploshola lean… rs that sponges are stas too - with their own special talents. TERENCE'S DOUBLE TROUBLE: Terence wishes for a friend who likes the same things he does! But when his imaginary friend, Lawrence, does everything better, the soapy crocidile is troubled. Will his friends like the talented Lawrence better than Terence? SCARY FNIBAR: Argh! Finbar isn't a very scary shark. If only he were a Mighty Scary Shark, he would swim in the ocean and scare his friends! But as Finbar soon discovers, it's more fun to play with your friends than scare them. REG THE MONSTER: His friends make so much noise that Reg can't concentrate and wishes for peace and quiet. Things change when he becomes the Leave Me Alone Monster. So why don't his friends want to play anymore?